The latest Slacker Astronomy podcast is all about various types of supernovae and features an interview with the youngest person to ever discover a supernova, Caroline Moore. 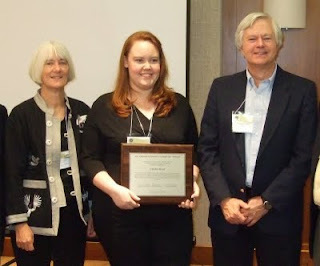 Caroline Moore (middle) displays the award give to her by the AAVSO in November 2009. So click here or go to http://www.slackerastronomy.org/wordpress/ to hear the latest podcast.